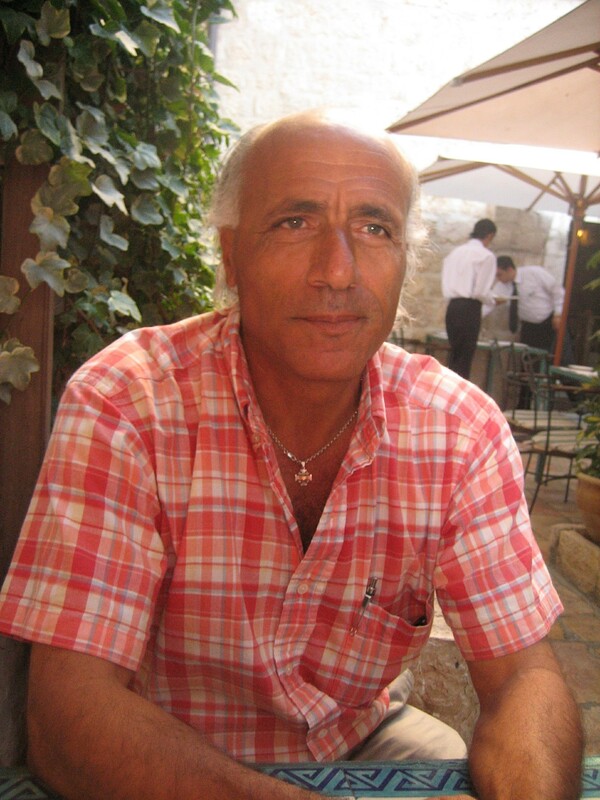 Do you remember the story of Mordechai Vanunu, the Israeli whistle‑blower? In 1986 Vanunu, an Israeli nuclear scientist, publicly exposed Israel’s possession of nuclear weapons. He was arrested, tried in secret and sentenced to eighteen years in prison, eleven of which were spent in solitary confinement. He was released in April 2004, but lived under virtual house arrest in St George’s Cathedral in Jerusalem, having earlier converted to Christianity. Israel insists Vanunu still poses a security threat and he is banned from leaving Israel – including visiting the West Bank and Gaza Strip – or talking to foreigners without permission. He is also banned from using the internet or mobile phones, and may not approach embassies or borders. In 2010 he was jailed again for three months for breaching restrictions imposed on him, which included speaking to foreigners and attempting to attend Christmas Mass in Bethlehem. He was asked to address an Amnesty International Conference in the UK on Tuesday (17th June 2014) and the UK Parliament on Wednesday, (18th June 2014) but Israel decided to uphold the travel ban it imposed on him years ago. Whatever the rights or wrongs of the case, Vanunu has already paid a huge price for his conscience. He lost his life, or, at least, many years of it, languishing in prison. Yet it seems from the words of his friend that through being prepared to risk all for that in which he believed, he has found himself. He has discovered the depths of his being and has become “a wonderful man”. The same is true of others, like Nelson Mandela, in prison for years for fighting against an evil system. Instead of becoming bitter, Mandela and others decided to keep working for truth and justice whatever the cost. People making tough decisions, costly decisions to ensure that God’s kingdom is being built. Christian love is tough. Christian love holds justice, integrity and truth in high regard. Other considerations pale into insignificance beside it. Christian love places a premium on justice and integrity even when it is very likely to alienate nearest and dearest to us. For some people, like Jesus, truth will alienate the entire nation and send the truthful person to the gallows. Jesus tells his disciples that Christians are called to integrity, to being truthful, even when it seems that being truthful will result in their own destruction, will harm, not someone else but themselves. But, as Jesus’ own story shows, death leads to resurrection. Those who lose their lives for his sake will find them. Most of us are not called to be a Mordechai Vanunu. But Jesus does call us to honesty and integrity, even at the cost of upsetting those we love or losing our own status or reputation. Christian love is at times about bearing the pain of rejection and facing up to the need to stand against what is wrong. For some people – that might mean a long, hard look at their job or the way they do their job. Because a job which requires someone to lie or to exploit others cannot compatible with Christian faith. Such workers might lose their jobs or their reputations for the sake of the gospel, but gain their life. For some of us, it might be about having the courage to say the difficult thing to those whom we like and respect. It is so much more comfortable to be of one mind with those around us than to stand alone and to be at odds with them. But by being prepared to risk our own comfort for the sake of what is right, we gain our life. Love which fails to speak out when it is right for fear of hurting or upsetting the other person is not real love, but is self‑indulgence. Love which really has the genuine needs of the other person at its heart is tough and painful for the one who loves, and may lead to crucifixion. But the other side of crucifixion is an unexpected and magnificent resurrection, a new and different kind of life. Eternal life is life lived with God in glorious freedom, because the truth really does set us free. If we really want to enjoy the rewards of Christianity, then we too must take up our cross and follow Jesus. This entry was posted in Ashton-under-Lyne Blog, Comment on June 22, 2014 by rogerfarnworth.